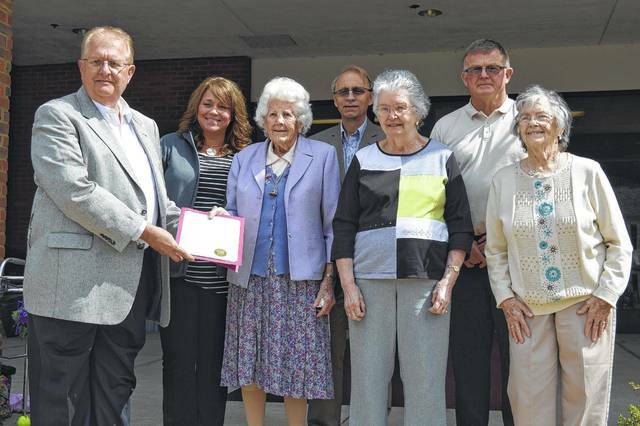 Gallia Commissioners and the Gallia Veterans Service Commission recognized a proclamation Thursday morning remembering those who are lost but not forgotten as they served and still serve their country. 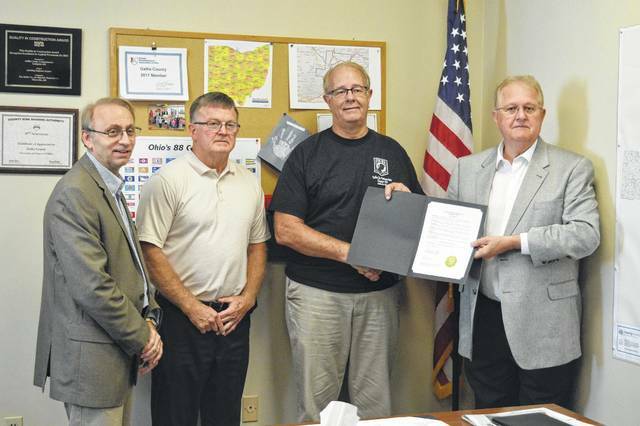 From left to right, Gallia Commissioner David Smith, Commissioner Brent Saunders, Gallia Veterans Service Commission President Gary Fenderbosch and Gallia Commissioner Harold Montgomery to remember Sept. 15 as POW and MIA Recognition Day. 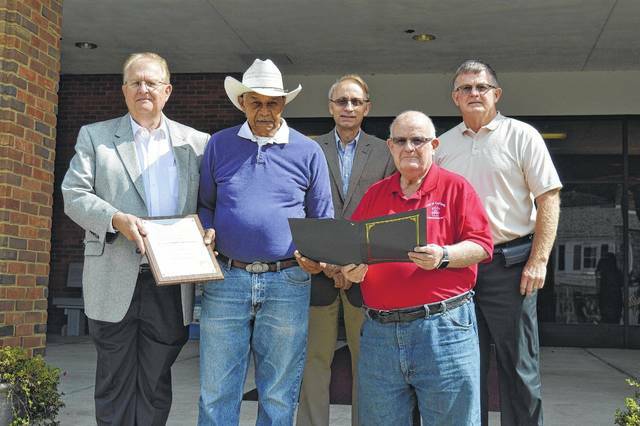 From left to right, Gallia Commissioner Harold Montgomery, Emancipation Celebration Committee member Glenn Miller, Commissioner David Smith, Gallipolis City Commissioner Tony Gallagher and Gallia Commissioner Brent Saunders recognize a proclamation declaring Sept. 15-17 as Emancipation Celebration Weekend. Gallia Commissioner Harold Montgomery, Holzer Assisted Living Activities Coordinator Carla Crawford, Holzer Assisted Living resident Bobbi Holzer, Gallia Commissioner David Smith, resident Rose Skidmore, Gallia Commissioner Brent Saunders and resident Jeannine Cunningham celebrate 2017 National Assisted Living Week.